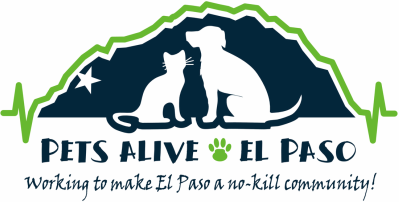 Through our spay/neuter voucher program, we provide free spay/neuter surgeries for dogs and cats of low-income El Paso area residents. If you use Firefox as your web browser and the application does not display or print correctly, please try using Internet Explorer (PC users) or Safari (Mac users) instead. Fill out the application. Please make sure you fill it out completely. Make photocopies of documents that prove you are receiving each form of public assistance you checked off on the application. If we do not receive proof of your eligibility, your application will be refused!! Pets Alive provides No Cost Spay/Neuter Services and rabies shots to dogs and cats based on grants received and individual donations. While it is our mission to assist as many pet guardians as possible in spaying/neutering their pets, Pets Alive does not have unlimited funding. If we are unable to assist you, our organization can refer you to a veterinarian in your area. Please call (915) 873-7387 to check on the status of your application.